#10 Coby Fleener – Luck is losing touch with himself lately but Fleener is still getting looks. Can’t count him out. #9 Jordan Cameron – He is going against JAX if he didn’t make the list there would be an issue. #8 Greg Olsen – Cam is liking this guy as much as Smith lately and is becoming the redzone target of a lifetime there somehow. #7 Antonio Gates – The Chargers are back in the race and its time for veterans to show why they are vets. #4 Julius Thomas – The man has been an animal all year and is getting the red zone targets. Last week seemed more precautionary than anything else. Expect results from him. #3 Jason Witten – He is becoming a top TE again and the ball is rolling in Dallas! #2 Rob Gronkowski – He is going against HOU and has been the most targeted player on the team since he returned. #10 Maurice Jones-Drew – He is feeding owners with 1 yard scores and getting involved in the passing game he’s a bust overall but is starting to be productive averaging about 14.5 points since week 6! #9 Ray Rice – THANKSGIVING is a day of thanks and its time to thank the PIT DEF for being so nice to the screen play all season and Rice to put up Rice numbers. #7 Knowshon Moreno – He is only here because of his injury. Seems like he MAY miss this week and will be a game time decision. He was held to under 9 points against KC last time, but it looks like the books are going to change if he’s back healthy. #6 Marshawn Lynch – The man can run and I expect him to run the living daylights out of himself even if it won’t be his best game of the season. #5 Andre Brown – Been dropping double digits since he got the job and makes the Giants look like a contender even if they aren’t much anymore. #4 Jamaal Charles – Yes Denver had his number when they played before, but he is a PPR monster this season leading his team in receptions with over 50 as a RB! Look for a score this time against DEN. #3 Adrian Peterson – He is the best RB in the league now although now he is hurt. He is going against CHI who took him out of the equation last time they met. Look for him to be more involved this time in the passing game. #2 Frank Gore – STL has the worst rush DEF out there. Coming off two eh weeks and Kaepernick is hot which will make the defense just worry about them too. 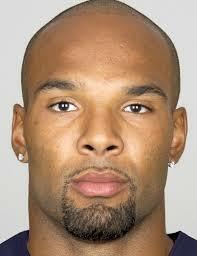 #1 Matt Forte – Going against MIN with weapons like Jeffery and Marshall seems like its going to be a day with heavy scoring and killing the clock. Gary & Avi go over the game from Sunday night. From the conditions, to Peytons Arm, to the finals calls. #10 Desean Jackson – Going against a strong DEF is why he is just #10, but he has a good QB and is a great WR. #9 Josh Gordon – JAX defense isn’t that bad but Josh Gordon is getting thrown to all the time giving him the opportunities he needs to capitalize. 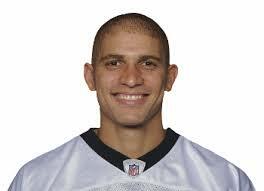 #8 Jordy Nelson – He is going against DET but also has Matt Flynn and not Rodgers. He is a talented WR and looks like he can flourish this week against a second rate DEF. #7 Antonio Brown – He is a personal favorite of Big Ben and seems like he isn’t turning the jets off anytime soon. Look for a score and a bunch of targets from this guy. #6 Alshon Jeffery – Going against MIN, if they cover Marshall someone is going to open and it’s gong to be this guy. #5 Demariyus Thomas – At the end of the day he is a Peyton Manning favorite right now and that means MONEY. #4 AJ Green – Going against SD isn’t a shoe-in but when you have hands like Green you can do a lot against a second rate DEF. #3 Dez Bryant – They have been connecting well lately together QB-WR here. Dez is playing a weak secondary and has a great QB throwing to him. Expect a show with this boy. #2 Brandon Marshall – MIN again is the weakest DEF in the league and Marshall is one of the top WR in the game! Seems like he drops another good day this week. 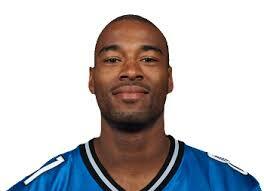 #1 Calvin Johnson – Is this really a surprise? He is a beast and that’s really it. Nobody stands a chance against him to cover him unless you double team him or shadow him with a zone and that just leaves open the other WR and Bush. Stadium Series; Too Much of a Good Thing? There are those fans who are thrilled with this, and there are those fans who are vehemently against it. Both sides have very good reasons to their argument. Since the advent of the Winter Classic in 2008, where the Penguins faced the Buffalo Sabres at Ralph Wilson Stadium in Buffalo, fans have been clamoring for their team’s chance to host the game. The New Year’s tradition that sparked was such a big hit, that people were fighting over which city should host it next. So far, Buffalo, Chicago, Boston, and Philadelphia hosted the Winter Classic, and Edmonton and Calgary have hosted the Heritage Classic, the Canadian edition of the Winter Classic later in the season. Washington has been announced as the 2015 host, venue and opponent undecided. Fans sold out every single game, with the hopes of attending this once in a lifetime event. They showed up and braved the cold to every game and event leading up to it, including alumni games among others. The fans also bought all the new merchandise that come with the game, such as new uniforms and winter hats for example. Also, with the game nationally televised, fans can sit down together with their families on New Years’ Day and watch the game together. The teams also hope for the game to come to their city also. As mentioned above, there are tons of new merchandise opportunities and ticket sales opportunities to capitalize on. Filling a football stadium or baseball park with fans who want to buy merch and concessions brings them big revenue, and that isn’t even including the advertising and TV rights they get. It’s a financial boost to their bottom lines, with the hopes that it will return soon. This also goes for the road team, as fans travel up and still pay for everything. It helps everyone financially. The players love it too. Many of the players reminisce about the times they were a kid growing up in a Northern locale, braving the elements and playing shimmy games on the frozen ponds. Not to mention the national recognition they get when they step on the ice surface, under the lights and in front of tens of thousands of eyes in the stands and the millions watching at home. It’s a whole new experience that the players know come very infrequently, and they long for it every year. However, since 2008, there has been one, maybe two games played outside per season, making it a very special game for fans and players and upper management all the same. But this year, there are 6 games. Is this watering the product down? I do understand that most teams want to host the Winter Classic if they can. It’s understandably tough for teams in Southern communities like Phoenix or Florida. That test will be performed in Los Angeles in 2 months. But when it was a once a year thing, everyone wanted to be that one team who was hosting it. Not that it’s made out to be a jealousy bit, but it was special for that host city to have the festivities and events surrounding the game itself going on in the city, much like the All Star Game, for instance. The fact that 4 new cities and one repeat city are hosting the games make might dilute the overall product of the event. Think of having two All Star Games in a season. The thought of it is blasphemous. With this new amount of teams playing, as expected, there are a couple of repeated teams. The Penguins, Blackhawks, Red Wings, and Rangers have all participated before in outdoor games. This will include the third games for the Rangers and Penguins. It seems, to some fans, that the NHL is repeating some teams, such as Chicago, Pittsburgh, or the Rangers. Those teams also have the majority of national broadcast games. Some fans may take it as a slight to their team who are less recognized by national networks. That being said, I think it’s fair to introduce more outdoor games, despite it possibly diluting the product. The one that stands out the most is the game in L.A., which is testing if the NHL can play outdoors in a warmer climate. It introduces more opportunity for the less nationally recognized markets to take advantage of a special event with national recognition and new financial opportunities that they haven’t seen in the past. It also will promote national growth of a game that we know isn’t getting as much attention as, say, the NFL. 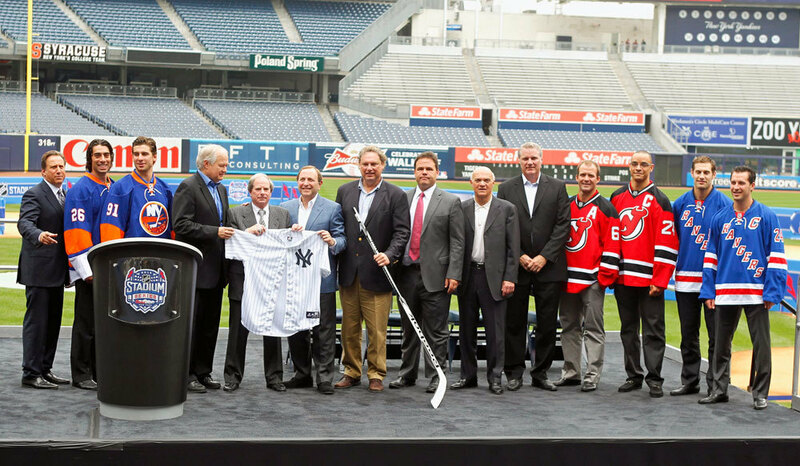 With special events like this taking place all over the country, it will be a move in the right direction for a bigger, better NHL. Sure, you may think it’s a ploy for national attention, but it’s working, and come New Years, expect the 115,000+ fans who sold out the Winter Classic at the Big House to enjoy it as if it’s the only outdoor game they will ever see. #10 Matt Flynn -Thanksgiving just hasn’t been the same without a good GB QB in the past few years, but Flynn could surprise us. Lets see why he gets paid to take vacations. #9 Andy Dalton – Going against SD that just gave up 38 seems like he is in line for a solid day. #8 Josh McCown – Has the receivers and is going against the most giving DEF in the league. Get ready for the underdog to throw. #7 Tom Brady – HOU has a good defense, but their offense won’t be on the field that long leaving Brady time to show off his skills. #6 Tony Romo – Not time to break down yet! The train isn’t at the station yet! going against OAK look for Romo to throw for a pair at least and get some yardage. #5 Nick Foles – He has the run game and the WRs. He is in a tight race and tends to put on a show when he can. Expect a nice day from the youngster. #4 Cam Newton – Finally the guy we want! Cam is back to making electrifying plays as he did in college. He is running and making his options wider than every other QB out there. #3 Drew Brees – Going against SEA isn’t easy and doing it at their house is even harder! Drew Brees though is off to prove that they are the team to beat in the NFC over SEA. #2 Peyton Manning – He is Peyton Manning in the end of the day. Yes he was stopped for 15 points last time and yes he doesn’t have Moreno probably, but he is Peyton and the Chiefs just gave up 41 to the chargers. 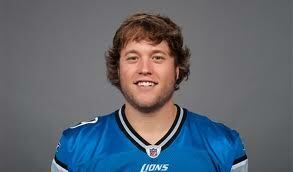 #1 Matthew Stafford – HAPPY THANKSGIVING with such a giving GB defense. Time for our WRs to show off and bring on the thanksgiving joy as Stafford has a field day.